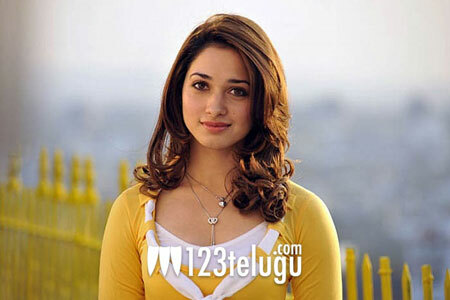 Tamanna is widely regarded as one of the most beautiful actresses in the present generation. She has won millions of fans around the world with her solid performances and spell binding beauty.But her best is yet to come and it will be in the movie ‘Endukante Premanta’. Sources say that director Karunakaran has come up with a most beautiful look for Tamanna in this movie. Already, the first stills from the movie are creating a good buzz because of the lovely colours and the beautiful chemistry between Ram and Tamanna. Sravanthi Ravi Kishore has produced this movie and we can expect very rich production values in the movie. Music has been composed by G.V.Prakash and the audio launch will be on the 21st of this month.